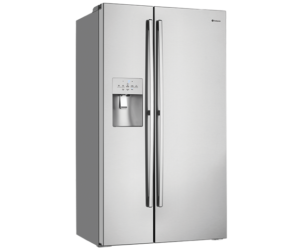 Fridge0 Refrigeration repairs & services all Westinghouse fridges in the East & SE suburbs of Melbourne from Kew to Brighton to Frankston. Same day service. No call out fees. Qualified technician. Westinghouse is a good quality household name that has been around for over 60 years in Australia. in comparison to other well known brands. Most common issue or design flaw with these units is the doors themselves. to collapse on itself and in some cases causing it to fall off. range from $300.00 to $450.00 but you are basically buying the same problem. procedure is around the $300.00 mark. instantly. This is when the PCB completely fails. doesn’t happen often but it has been known to occur. either due to bearing in the motor shaft being worn out or the electric motor itself has burnt out. as well as it should (noticeable difference). any of the 3 components listed above heater/termination thermostat/ thermal fuse including the PCB. which lends itself to being more suited for the workshop repair as opposed to onsite repairs.